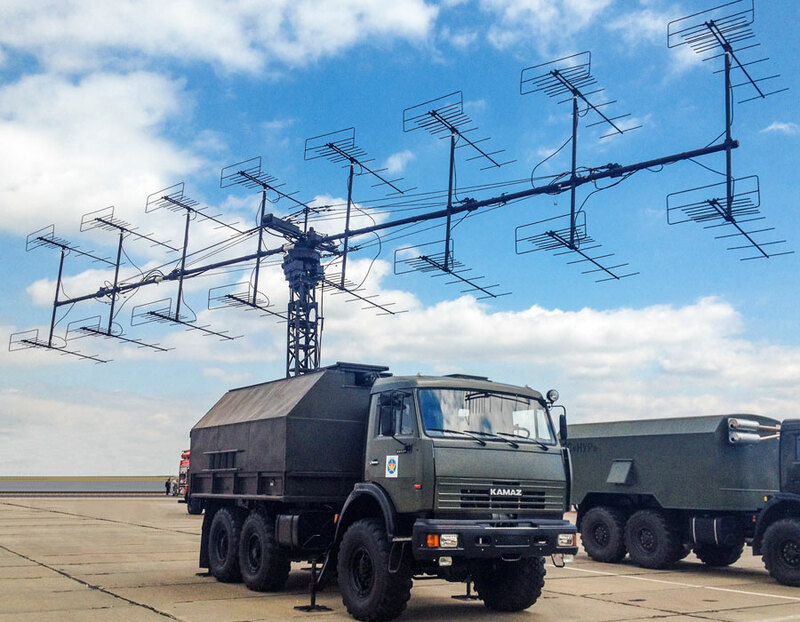 The electronic warfare (EW) community has seen the diversity and complexity of the radio frequency (RF) spectrum become far more challenging than it was a decade ago. Radar systems are rarely single-frequency, single-mode devices; most have multiple guises and profiles. In short, it has been very difficult for the. Today’s missions call for smart systems that must be flexible, adaptive and multifunctional. They must operate on any platform in any environment, generally meeting demands that dictate reduced size, weight and power. Urgent operational requirements must be met while satisfying increasingly tightened defense budget constraints. • Low probability of intercept (LPI) radars such as frequency-modulated continuous wave (FMCW) and frequency-modulated interrupted continuous wave (FMICW) radars are virtually invisible to legacy radar interception systems. • Multimode, multifunction radars with complex pulse modulation and frequency agility that are relatively easy to detect but incredibly difficult to fully characterize. Example of an advanced automatic electronic scanning array (AESA) radar. • Solid-state radar systems that present a sensitivity challenge by operating at extremely low power. Consider the detection difficulties of a 1 W system that can adapt transmitting power to the range of the target. We should expect to see solid-state technology dominating future radar systems. Historically, bandwidth has been considered arguably the most important factor by the radar interception community. However, it seems things are changing and we are now in a world where low-power emitters are gaining the upper hand and, in some cases, will even have a range advantage over the collector. The problem for system designers is that physics does not allow us to have both large bandwidth and high sensitivity. A typical ELINT/EW Commercial off-the-shelf (COTS) solution might have a frequency range of 500 MHz to 18 GHz, which of course is fine for the interception of radars within this range. But below 500 MHz, we have the relatively low-complexity VHF/UHF long-range early warning radars. Historically analog, digital upgrades are becoming increasingly common. Digital upgrade of VHF radars. The reason: these radars are able to detect targets exhibiting a low radar cross-sectional area. Consequently, the billions of R&D dollars spent on this technology can be countered by relatively simple radar upgrades. Analysis of frequencies of about 18 GHz suggests that K-band radars are also becoming more widespread. In the past, radar designers didn’t consider development above 18 GHz due to atmospheric absorption. But a closer look at the absorption vs. frequency graph shows a trough between H2O and O2 resonances, leaving a window for short-range target acquisition/tracking radars and missile seekers. However, multifunction AESA/PESA radars are probably the EW community’s biggest challenge. Operating in multiple frequency bands, they simultaneously perform multiple search functions and hundreds of tracking functions. They are incredibly difficult to analyze and almost impossible for the tactical automated system. With pseudo random frequency agility, multiple beams, framed pulse sequences and many other features, multifunction AESA/PESA radars are a serious challenge for the analyst. To ensure seamless compatibility and smooth workflows, hardware and software should be developed in parallel. Architecture must be flexible and scalable so that systems can range from single-operator solutions to nationwide interception systems. The devices must be network capable so that multiple sensors can be operated from a central location, leading to a reduction in resources and manpower. Since the complexity of modern radar emissions makes it unlikely for the analyst to fully characterize the radar parameters during the mission, a functional system must also have long-term data storage to preserve both the frequency and phase of the original signal. A radar signal interception, recording and analysis system equal to these challenges must be fully digital. 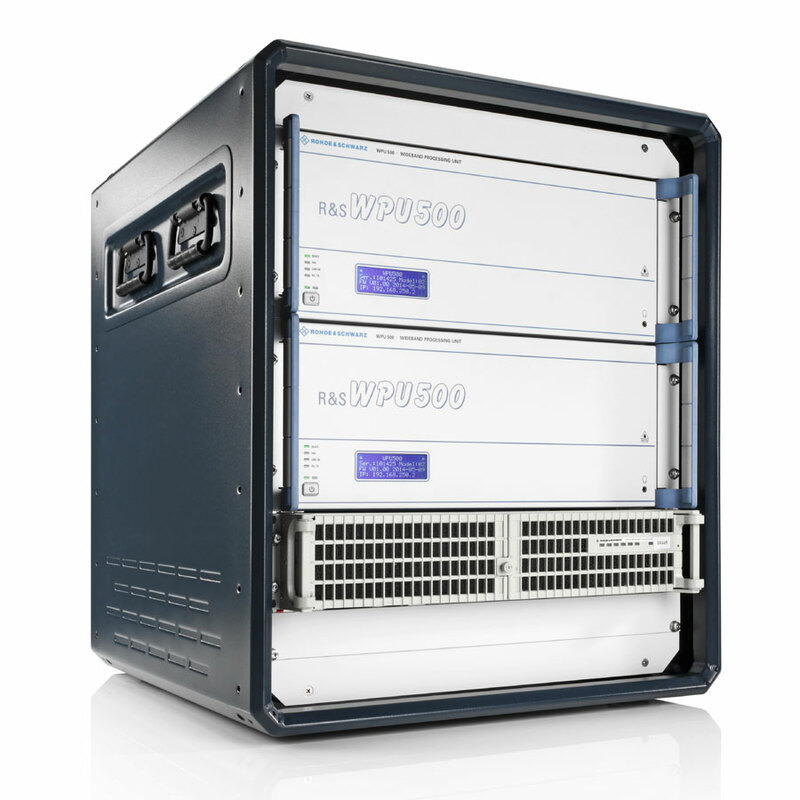 To meet this requirement, Rohde & Schwarz offers a fully digital solution incorporating state-of-the-art components and technology, innovative design and I/Q data processing expertise. Digitization means that there is no loss in signal quality throughout the capture process and that data can be reprocessed without degradation. Rohde & Schwarz ELINT system. In the digital world it is sometimes necessary to make continuous I/Q recordings, resulting in very large files that, due to their nature, are difficult to manipulate. However, during the capture of the majority of signals, it is necessary that only the pulse data be digitized. Rohde & Schwarz samples the data in a way that allows us to include the frequency and phase of the pulse. This data still contains I and Q information in order to analyze the radar pulse itself while discarding noise. The ELINT/EW community needs a system that has maximum sensitivity and detects both pulsed and CW radars. 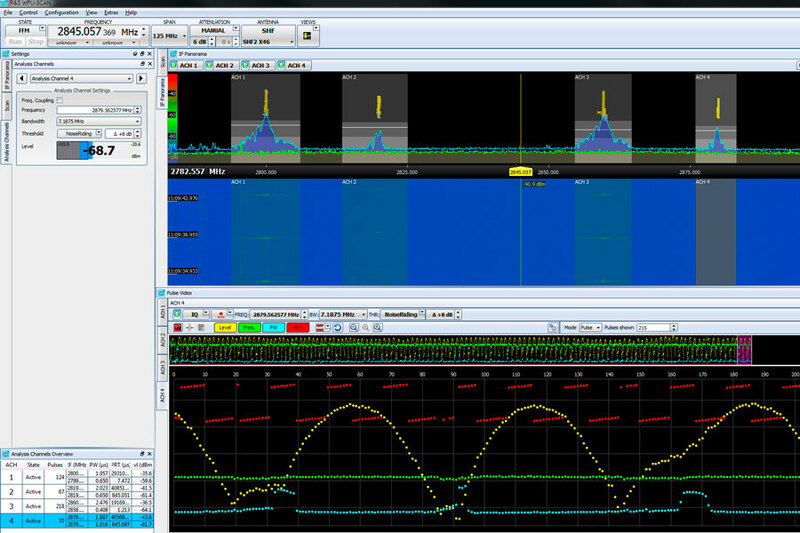 Rohde & Schwarz meets this demand by offering sensitivity figures unheard of in the radar interception world. Such sensitivity is needed to detect some modern LPI radars and still have enough range advantage to keep the battlespace commander happy. 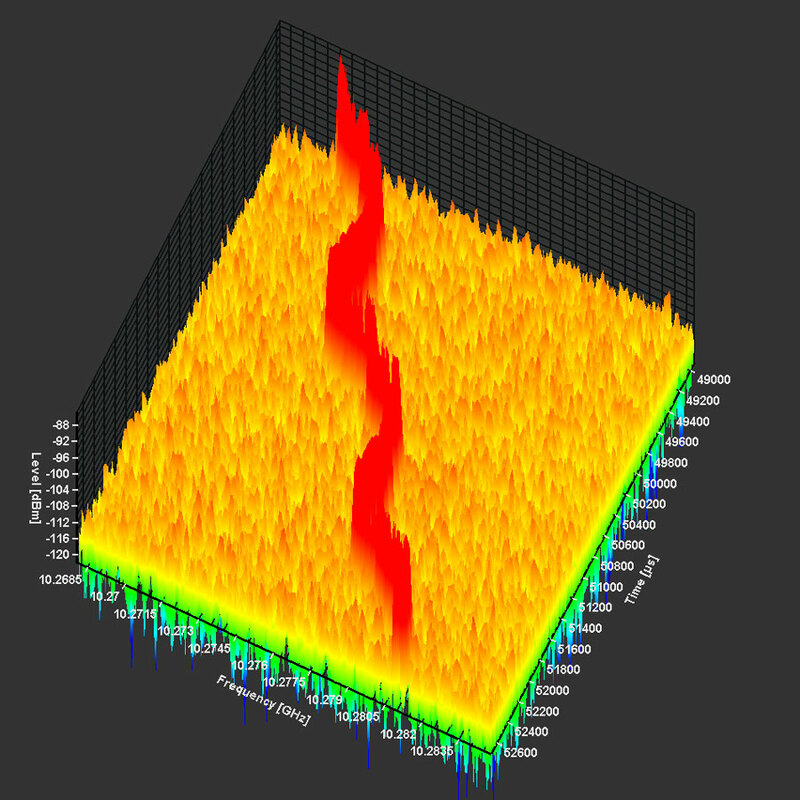 Using intelligent scanning techniques, wide frequency ranges can be monitored. The instantaneous realtime bandwidth/sensitivity trade-off issue can be mitigated to a certain degree by combining multiple fixed frequency receivers in the most critical frequency bands. Pre-detect spectrums and post-detect pulsed video displays provide the operator with a comprehensive view of the signal environment, regardless of whether the automatic signal extraction can produce a result. This eliminates situations in which the operator cannot see the signal of interest because of a system automation failure. Pre- and post-detect displays shown with four active collection channels. An extremely powerful set of analysis tools needs to be available. GUIs should be intuitive so that the operator can perform mission functions with minimum effort. Providing realtime radar parameter visualizations allows online radar analysis. The result will be a system capable of supplying a radar mode profile that fully describes individual radar modes or complete radar signals. This will make it possible to create national databases, develop countermeasures and even enhance weapon systems. 3D graphical representation of an FMCW radar. 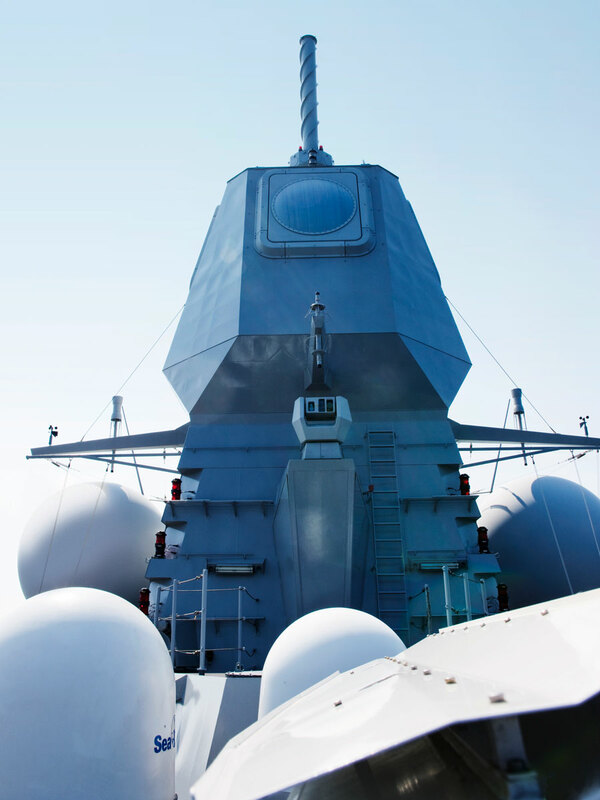 Fully capable of dealing with modern radars, the proposed system – which is actually attainable today – can successfully target radars from the most complex state-of-the-art systems to those low-power FMCW systems specifically designed to be undetectable.